The Coal Industry Collapsed—Is Oil Next? The human, environmental, and economic costs of a warming climate are becoming increasingly clear—as is the need to take decisive action. Many scientists believe, and most global governments agree, that global temperature increases must be held below 2 degrees Celsius to avoid catastrophic climate change and, to meet this goal, deep cuts in greenhouse gas emissions are required. Industry action, whether voluntary or compelled through local, state, federal, or global policies, is critical to stop the inexorable rise in global temperatures. 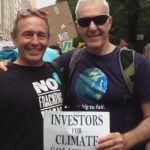 Climate change is a material issue for investors. 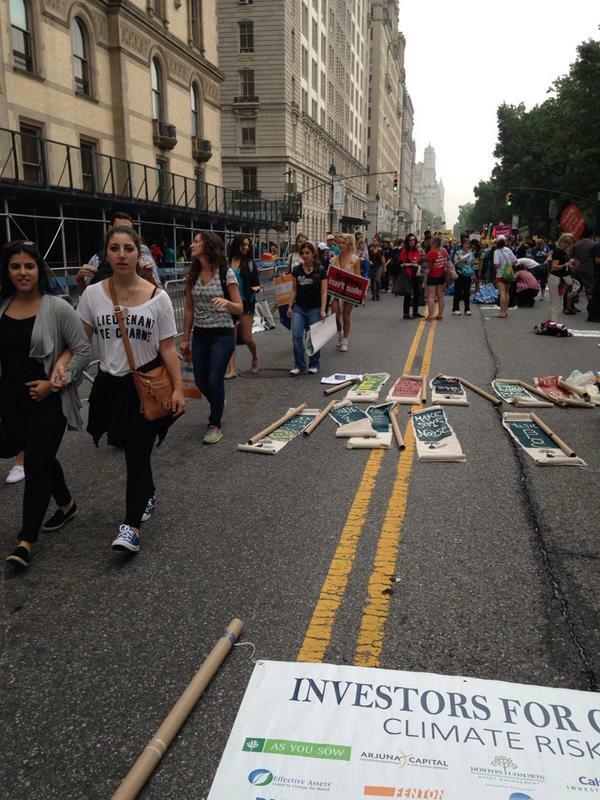 Whether companies are proactive or reactive on this issue will affect shareholder value. Energy companies in particular face important choices, including whether to continue investing in exploration for more fossil fuel reserves, maintain aging fossil fuel infrastructure, or instead focus on deploying and expanding energy efficiency and renewable energy systems. 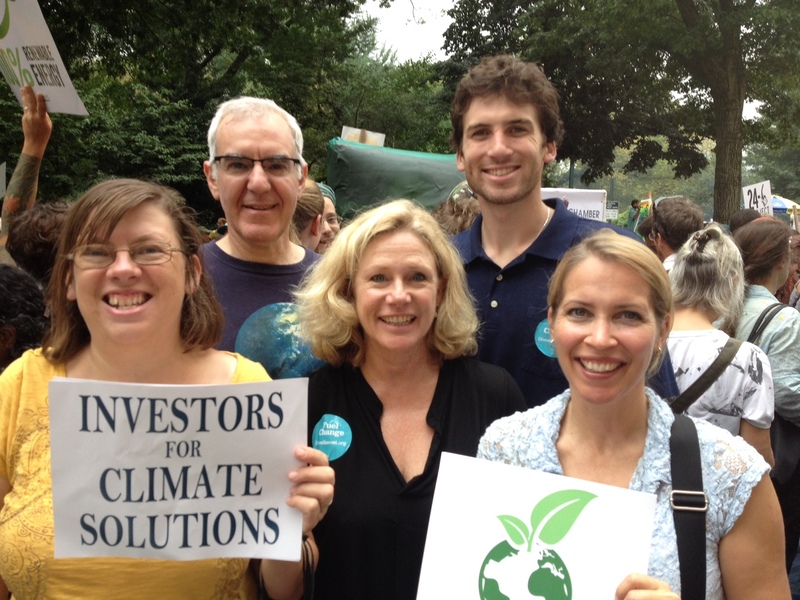 As You Sow is working to combat climate change by providing shareholders and fossil fuel companies’ resources to facilitate either a transition or divestment from fossil fuels and promote re-investment in clean and renewable energy sources. 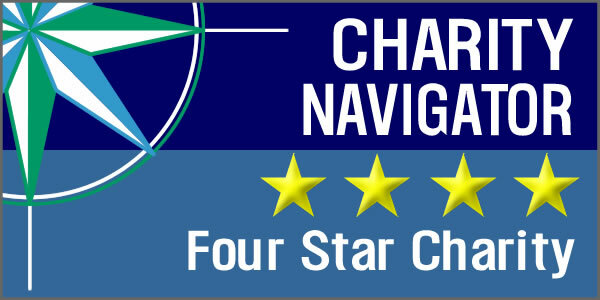 Investors play an important role in the companies they finance and the future their investments create. 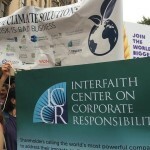 These companies and the investment community at large can lead the way in product, technology, and operational innovations – or face losses if they are unprepared for a future which will inevitably include significantly greater carbon restrictions. 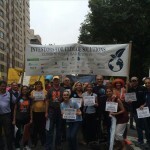 See As You Sow and Investors for Climate Solutions at the People’s Climate March, 9/21/14. 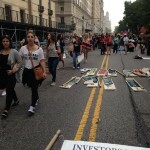 Thank you to all who added their logo to the banner, and to everyone who came and marched. 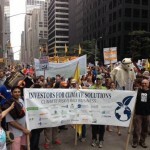 Visit www.investorsforclimatesolutions.org for more info. 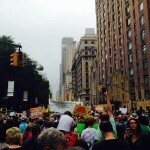 Hundreds of thousands of people filled the streets of New York City on Sunday calling for “climate justice” in the largest mass protest to date against government and corporate inaction to limit the overheating of the planet… The march featured an unprecedented diversity of participants, including many thousands of union members as well as representatives from indigenous people’s organizations, students and faith groups, and even a contingent of business types marching behind an “INVESTORS FOR CLIMATE SOLUTIONS” banner. 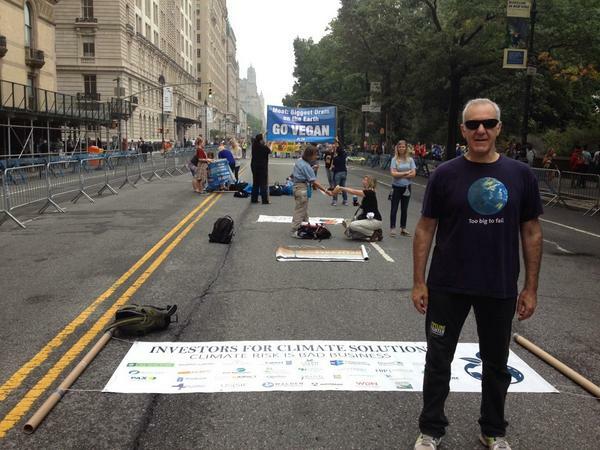 On Sunday, September 21, 2014, As You Sow and the socially responsible investor community joined the more than 400,000 people who took to the streets of New York to call for action on the threat of climate change, marching under the “Investors for Climate Solutions” banner. 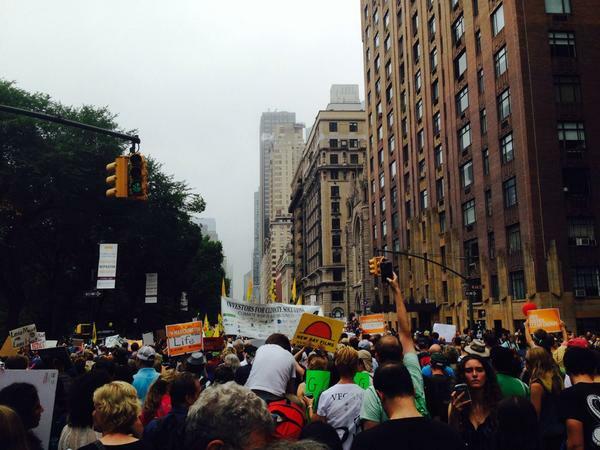 Thank you so much to all of you who added your logo to the banner, and to everyone who marched with us in New York. 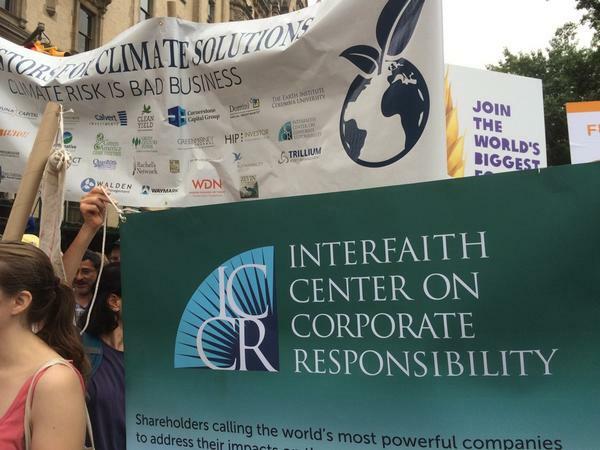 Together, we raised our voices to let the world know: in the face of impending catastrophic climate change, business as usual is no longer okay. 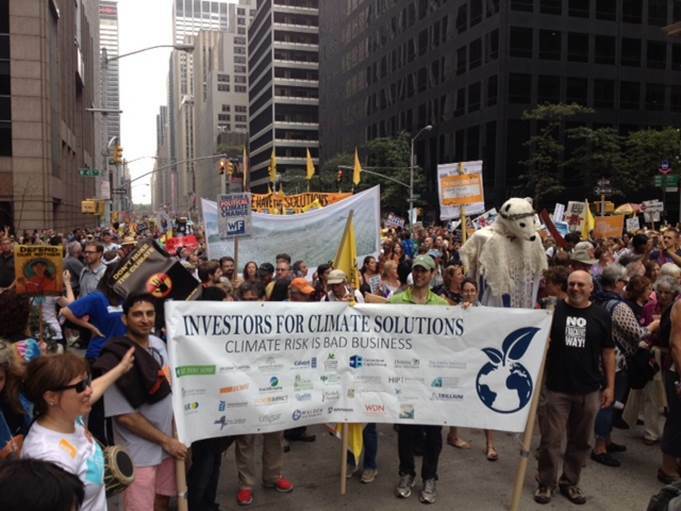 We hope the idea of investors joining together to make positive change will endure beyond the march. 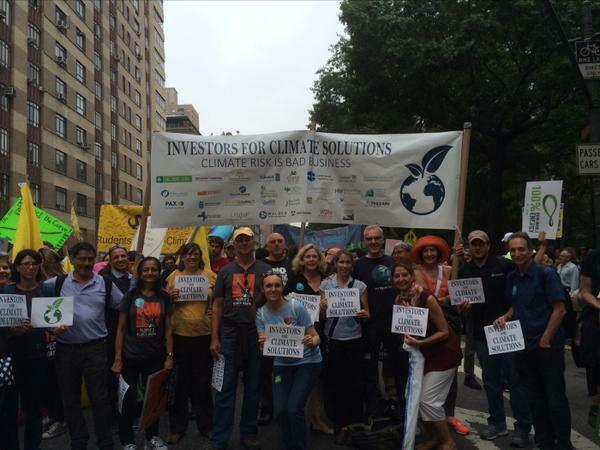 Investors for Climate Solutions is a call to action – to use our power as investors to help build sustainable economies. 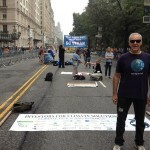 The economic risks of climate change are immediate and real. It is up to us to invest in the future. 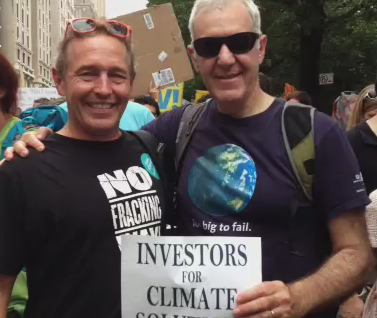 Stay tuned for more from Investors for Climate Solutions in the future! 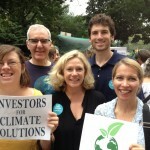 Visit www.investorsforclimatesolutions.org for more info.